Book "The Quality Information in Campus"
Carlos Da Silva Costa, Governor Bank of Portugal is the new member of the Osservatorio's International Advisory Board. LAURENE POWELL JOBS (Founder and President of Emerson Collective) meets the “Quality Information in the Classroom”’s students and opens the new edition (2018-2019) of that iniziative. THIS IS THE PRESIDENT OF THE OSSERVATORIO’S CLOSING ADDRESS FOR THE 10TH EDITION OF “GROWING BETWEEN THE LINES"
THERE HAS BEEN A SIGNIFICANT EDUCATIONAL DEVELOPMENT ON A NATIONAL SCALE: SCHOOLS HAVE BEGUN TO TEACH YOUNG PEOPLE TO REASON AND THINK. 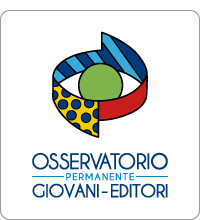 Maestri: "Young people must dig deep and discover what impassions them"
The Osservatorio Permanente Giovani-Editori is an organization that both believes in young people and in investing in them to nurture a process of citizenship training and education. 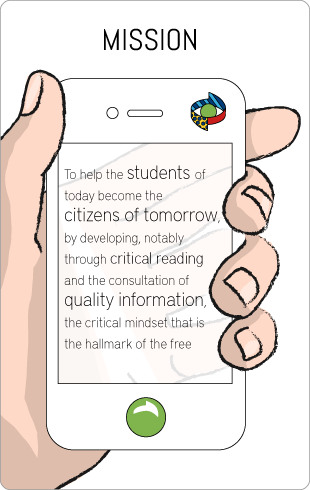 In order for this journey of personal growth and civic education to be fulfilled; a journey that seeks to help make the youth of today the critical readers of tomorrow and the free citizens of the future, our organization is committed and strives to give the new generations a greater sense of mastery over themselves. According to the latest thought on the subject, the full mastery of oneself is only achieved when the mastery of one's mind is combined with the mastery of one’s own means. 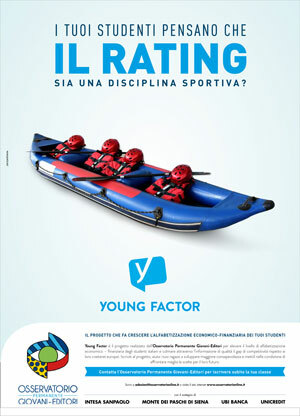 It is therefore right that we promote two major strategic projects: one aimed at coaching mastery of the mind (the "Quality Information in the Classroom" initiative) and the other aimed at fostering mastery over their economic and financial means ("Young Factor"). Join us, if you agree that to change the world and make it a better place, there is no other way but to start working with the young.